Schweppes is the latest brand to cash in on the excitement around the Royal Wedding, and is launching a novel Facebook initiative and limited edition Royal Wedding bottles. Unlike some brands looking to profit from the Royal Wedding, Schweppes has tangible links to the royal family. The brand has been supplying drinks to the royal family household since 1863, when it first received the Royal Warrant. Schweppes has now teamed up with Facebook to create a wedding card for consumers to sign, which will feature people’s names hand-written on the card when the page is "liked" by an individual. Fans of the couple will have the chance to offer their congratulations by adding their name to what Schweppes is calling the "Great Royal Wedding Card". Separately, the brand aims to push itself as the accompaniment of choice for Royal Wedding celebrations and picnics, with the Royal Wedding-themed bottle. The bespoke range will feature across the brand’s Indian Tonic Water, Canada Dry, Lemonade and Bitter Lemon, which will be available in one-litre bottles. Yesterday, Schweppes also launched a new spot in its tongue-in-cheek ad campaign, using the strapline: "At the end of the day, there’s always a Schweppes". 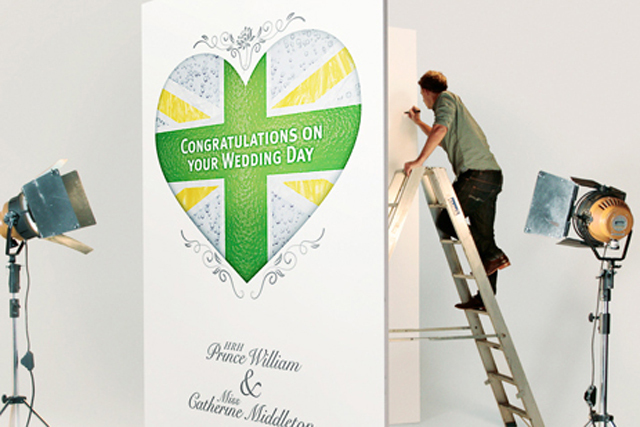 The Marketing Society Forum: Will the royal wedding provide a long-term boost for Brand Britain?